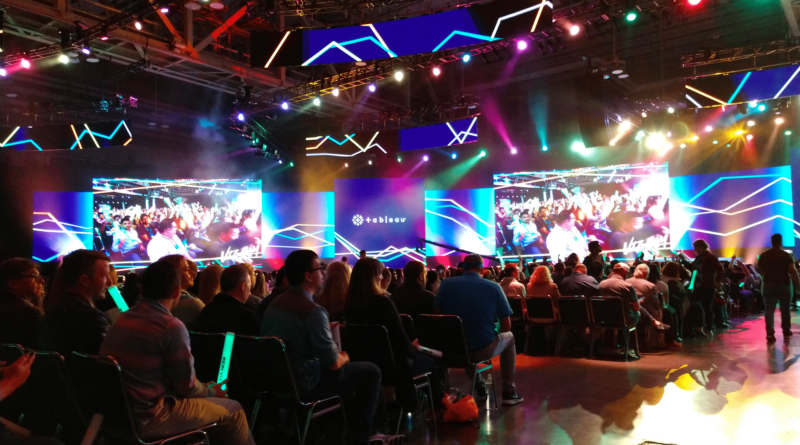 I recently got back from the 2018 Tableau Conference in New Orleans and wanted to share my Top 10 takeaways. My first takeaway: Where else can you go where you eat meat for breakfast, meat for lunch, and meat for dinner? And, oh yeah, make sure that meat is covered in some form of rich sauce. When I tried to go to sleep at night, my body said, “No you don’t!” I’m not sure why they call New Orleans the “Big Easy,” as it definitely wasn’t easy on my stomach. But because I’m a Tableau Consultant, the rest of my takeaways focus on Tableau itself. 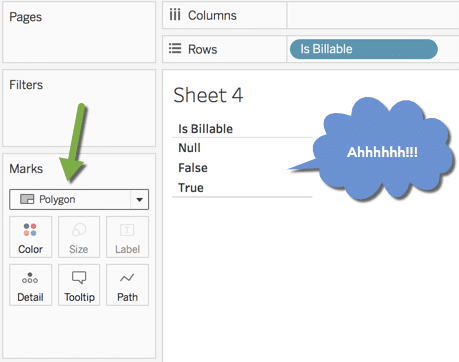 They range from enhancements that will be coming in future releases to new features just released, and Tableau tips and tricks that I found to be very useful. You need filters on your Dashboard, but man they can take up valuable space, which could be better used for your visualizations. 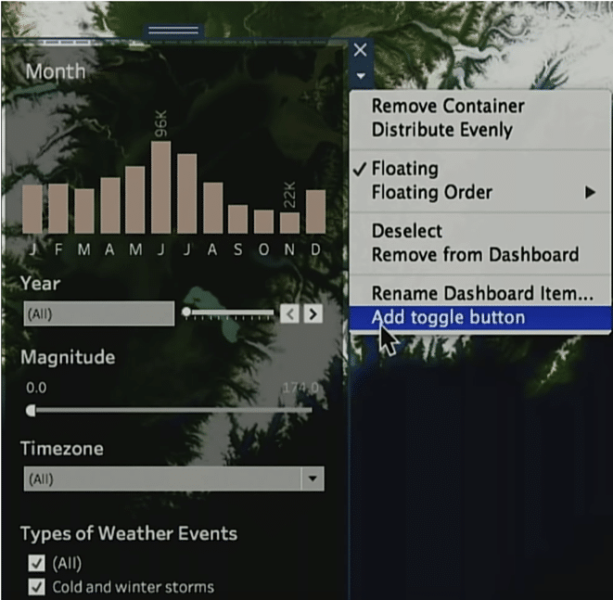 Coming in 2019, Amanda Luthy one of the Tableau Developers, shared new Tableau features will include the ability to add a Toggle Zone. Add the “zone” to your dashboard (say the right hand side), and add your filters to the zone. Users can toggle the Zone to be open or closed. When closed, the filters aren’t displayed, instead a toggle button will be visible which will allow users to open the zone to access the filters, modify them, and close the zone when done. A simple solution to give you more space to fill with important information! Press the toggle button again, and the zone appears allowing the user to modify filters as desired. Okay, I concede, some people/organizations are hopped up on PowerPoint and just can’t make the switch to using Tableau as a presentation tool. Even though they lose the ability to enhance the discussion by analyzing the data to answer questions by use of filters or drill downs to details, etc. They are jonesing to have that PowerPoint! You created a great dashboard, but when others look at it via their phone…not so great. You currently have the ability to customize your dashboard, creating layouts for Desktop, Tablets, Phones, and can even have different layouts for different Tablet and Mobile sizes. But, this takes time. Announced at the conference, and anticipated in the 2019.2 release, are automatic phone layouts. According to Alex Vertin another Tableau Developer, when you create a dashboard, an automatic phone layout will be created. It makes best design choices so you don’t have to. And if you want to tweak it, feel free, you have the ability to edit. Land on favorites screen. No longer will you need to navigate to your favorites, you will be transported there at login. Biometric authentication – use your fingerprint to login, if your IT Security allows this form of authentication. Biometric authentication can be enabled or disabled on Tableau Server or Tableau Online by the Administrator. Browse recents, select a project, etc. When you join table A to table B, having a one-to-many relationship, and table B has a metric in it that will be used as part of your visualization, you have the challenge of making sure that the metric in table B is calculated correctly. For example, table A is Order data and table B is the Customer data, which includes a field called Annual Revenue (the company’s annual sales). 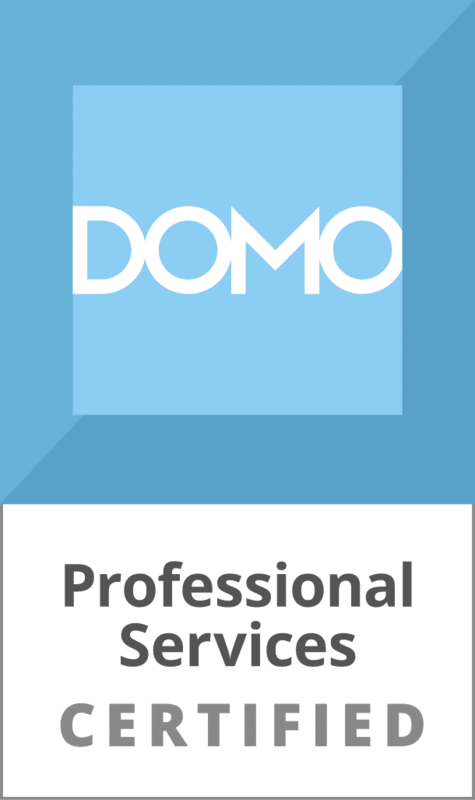 You have the need to show the Order amount based on Customer’s Annual Revenue (i.e. What are our sales to Customers that have an Annual Revenue of $10M or less, $50M or less, $100M or less, $500M or less, more than $500M). When you join the Order table to the Customer table, there is a good chance that you will have more than one order for a Customer. When you try to use the Annual Revenue number from the Customer table, the results will be incorrect, as that value will be replicated based on the number of orders (e.g. Customer A has Annual Revenue of $10M, and they have 7 orders, the result after joining the two tables will be an Annual Revenue of $70M, not $10M). You can fix your problem by using Level of Detail calculations (LOD), but sometimes that can be complex for users, or they may not understand they need to do this to get the correct result. Enter Data Modeling, which will use the constraints set up in the database to automatically identify the need for a LOD calculation for metrics. 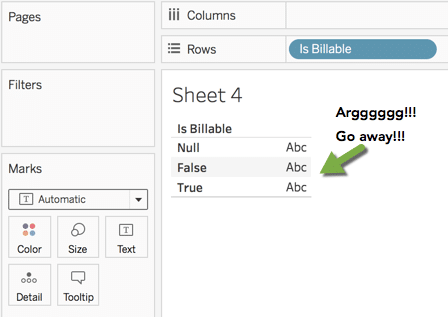 The user will not need to create the LOD calculation, instead, Tableau will handle this as part of the query, ensuring the user gets the correct results, no calculated field required. Of course this means that table constraints are setup correctly in the database. If they aren’t, the Data Model will not be able to correctly interpret the table joins correctly. This functionality will be available sometime in 2019. When Tableau Released Tableau Prep, a lite ETL tool (Extract, Transform, and Load), allowing you to clean, enhance, and prepare your data for analysis, one of the biggest features missing was the ability to schedule the resulting process you created. 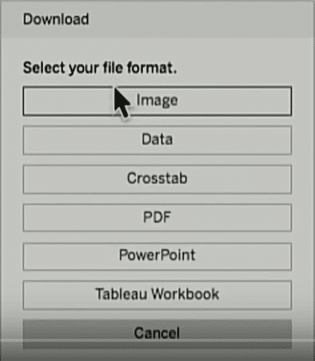 Instead, whenever you received new data, you needed to manually kickoff the process to create a new file and load the resulting data to Tableau Server. Revealed at the conference, Conductor will be available as part of the 2019.1 Beta. Conductor will allow you to schedule, monitor, and govern your data flows. Chief Technology Officer, Andrew Beers, demonstrated how once you create your data flow in Tableau Prep and publish it to Tableau Server (or Tableau Online), you can schedule when the flow should be refreshed, and you will have the ability to monitor and view the refresh history. I had a chance to talk to one of the developers on the Tableau Prep team to ask about the other big feature missing, the ability to load the resulting data to a database (Redshift, Snowflake, SQL Server, etc.). He said this is most likely going to happen, and databases would be prioritized based on customer usage (he indicated SQL Server being the first, Redshift coming around the 4th most used, etc.). Have you tried Set Actions, released in version 2018.3? Talk about power, it may just change your life. Denny Bromley demonstrated how set actions allow you to filter data without excluding critical data needed for calculations. Sets are an under appreciated functionality of Tableau, I really need to use them more. They allow you to compare what is in the Set to what is outside of it (basically an In/Out), without losing the results from the outside the set. And now with Set Actions, they become more powerful, allowing you to drive other visualizations, drill down in one area while keeping other areas summarized. I think as people get their hands on this, we will start seeing innovative ideas that haven’t surfaced yet. As people get their hands on this, we will start seeing innovative ideas that haven’t surfaced yet. Click & Tweet! And for a great detailed video of this new functionality, I recommend you go to YouTube and see Bethany Lyons presentation called “Ready, set, action!” She provides many great examples, showing the richness of the Set Action feature. Ever wish you could perform some “non-Tableau” function on a Dashboard or Worksheet instead of having to jump to another application? Extensions allow you to do just that. Extensions are custom user interfaces that have been created to allow you to do things Tableau can’t do. It provides for rich integration. Ever wish you could perform some “non-Tableau” function on a Dashboard or Worksheet instead of having to jump to another application? Extensions allow you to do just that. Click & Tweet! Keshia Rose, another Tableau Developer, provided an example. Suppose you are looking at a Workbook, getting ready to create a forecast, but you notice that the data isn’t correct? With the correct extension, you can allow the user to update the data, right there in your dashboard! Of course before you do this, make sure you have thought out all the implications. You’ll probably want to ensure the user has logged into the dashboard with appropriate credentials, and that those credentials in the database allow them to do inserts/updates/deletes (you don’t want just anyone to have the ability to modify the data). And you’ll also want to consider what data source should be updated to ensure the changes are in the sources system. Create a Sankey diagram – Sankey diagrams can be done in Tableau, but they are not part of the standard visualizations, and they are very complex to create. But with this extension, you choose the dimensions and metrics, and presto, the Sankey diagram is created for you! Wordsmith – Enhance your dashboard with automated written analysis, powered by natural language generation. Write-Back – Write-back allows you to select data from your sheets, add new information to it and persist it. Hyper is fast, but sometimes when joining multiple tables, the resulting number of records can become huge, which causes the Hyper extract to become very large and take a long time to process. 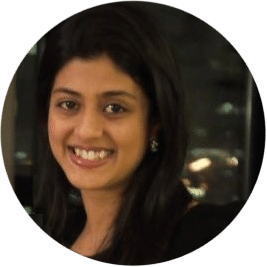 According to Swati Srivasta, Tableau Senior Software Engineer, in 2019, Hyper will be updated, allowing you to choose whether the resulting Hyper file should be single or multiple tables. If you choose multiple, each table will be “loaded” separately, resulting in a quicker creation and smaller file size. When the Hyper file is used, the query will determine which of the tables needs to be accessed/joined to create the results. When you create your Hyper file, you will want to consider performance implications. Some use cases are better than others for using multiple table extract, such as when you are implementing row level security, and are joining your “user rights” table to other data. This can result in a huge replication of data, multiply the number of records in your data by the number of users in your “user rights” table, and you get the total rows that are generated by a join (essentially the table you join the “user rights” with will is replicated in entirety for each user). This is a good case for using multiple table extract, as your resulting queries will be filtered to the specific user using the Dashboard. But there are other cases where using multiple table extracts will result in slower performance that the “normal” hyper extract. During the conference I was excited to have the opportunity to talk to one of the developers on the Hyper team. In a previous Tableau tip blog post of mine about cross database joins, I mentioned how incredible it would be to perform cross database joins on extracts and Tableau Server data sources. Why? If Tableau allows cross database joins with extracts on Tableau Server, you can become the creator of your own data warehouse without having to rely on IT! The developer mentioned that Tableau is having these internal discussions, which is exciting. Should they become a player in database solutions? No promises, but he indicated that many say yes. We’ll see, but I too am hoping yes. Sometimes you just don’t have enough room on your Dashboard to include all you want, or at a size that is useful. 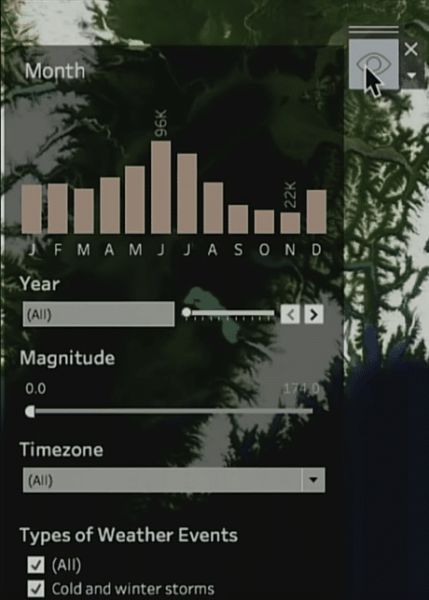 Maps on Dashboards is a great example. 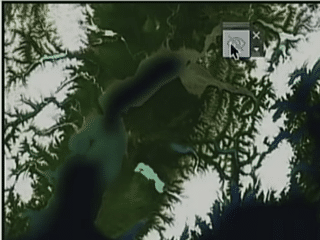 In most cases for a map to be useful it needs to be large, thus eliminating the amount of space available for other data. In the Tableau User Group: Tip Battle Session, I learned a very easy and handy tip. Using the Viz in tooltip functionality, you can put a small map on your Dashboard and allow the user to Zoom in and see a larger map. Here’s how. 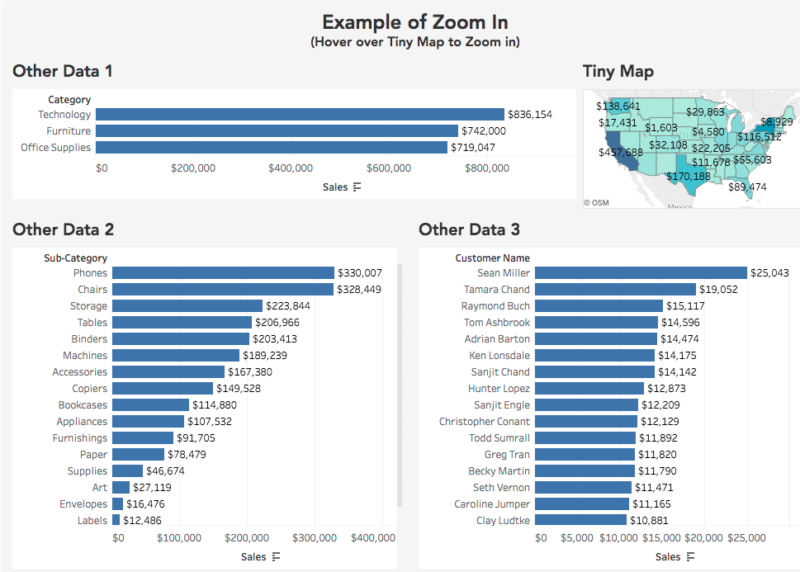 Create a viz in tooltip on the original map, setting the size of the tooltip viz to be 800 x 800. When your user hovers over the small map on the Dashboard, the viz in tooltip fires, and the “Zoom Map” appears as a tooltip, in its full glory of 800×800 (or whatever size you decide is sufficient to give the details users will need)! Simple use of Viz in Tooltip, but I just wouldn’t have thought of using this functionality to enlarge or Zoom In to a Viz to make it larger for better viewing. Very nice! Also from the Tableau User Group: Tip Battle session, you create a viz with a table, but have no measures because they aren’t needed. But…then you are left with those annoying Abc’s where the metrics would normally be located. Yeah, you can shrink the field (though that doesn’t always produce the desired results), but what if you change the Mark to Polygon? What?!?!?!?! Why didn’t I know this before? If you attended the 2018 Tableau Conference in person or online, what were some of the key takeaways you had? What feature are you most looking forward to seeing released? Really interesting to see Tableau getting more into the data modeling/ETL side of the data process and not just data visualization. Conductor for Tableau Prep was great to hear about too! I agree, it will be interesting to see what direction Tableau will take with several of their product offerings. Will they enter the database arena? Will they go the route of Looker and integrate a data layer/model that can be used to ensure more consistent/enterprise reporting? And if they spread out with their product offerings, will they ensure the quality of what is offered remains strong (I don’t want them to become like some of the other competitors which try to do everything and wind up being good at nothing). Thanks for responding Justin!